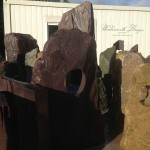 Romance Standing stones are a unqiue product made to order in our workshop. 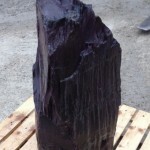 We carefully pick a beautiful piece of slate to work with, then using diamond tooling we carefully cut the heart out in four stages and polish out the cut marks to give a lovely mat finish to the slate inside the heart. The work is time consuming but the result is outstanding! SKU: MONROMANCESS. Category: Water Feature Monoliths. 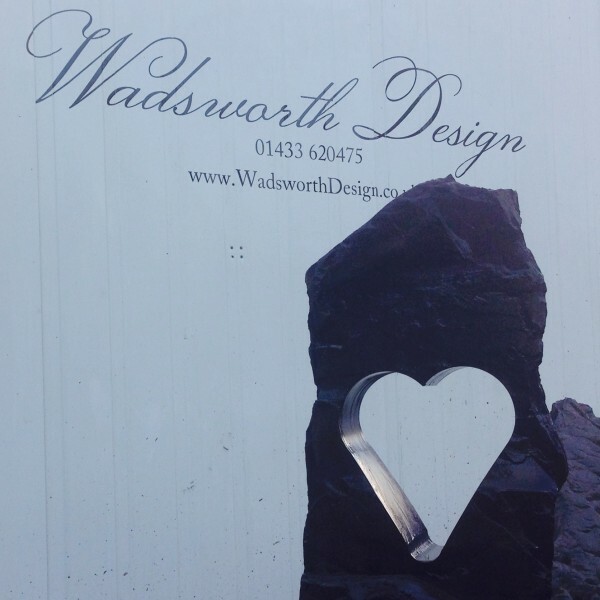 A unique design to Wadsworth design, created individually at customer requests. 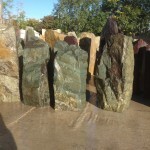 The Stones look simply stunning in landscaping projects. 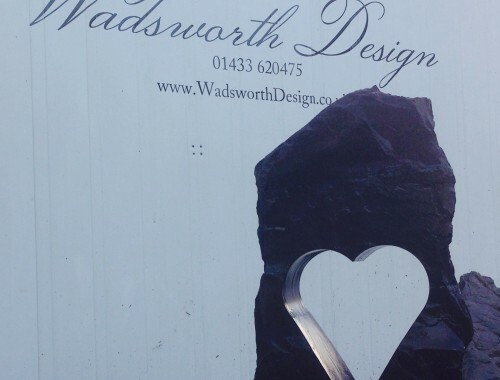 The heart is cut in our workshop and polished to a mat finish. 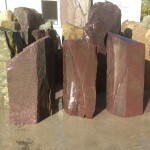 The Slate Monoliths used are generally between 1 – 1.5m to give a suitable scale to the heart shape and the stone size. Generally slimmer slate stones are used and so where required a support base may be attached to the bottom to aid stability. 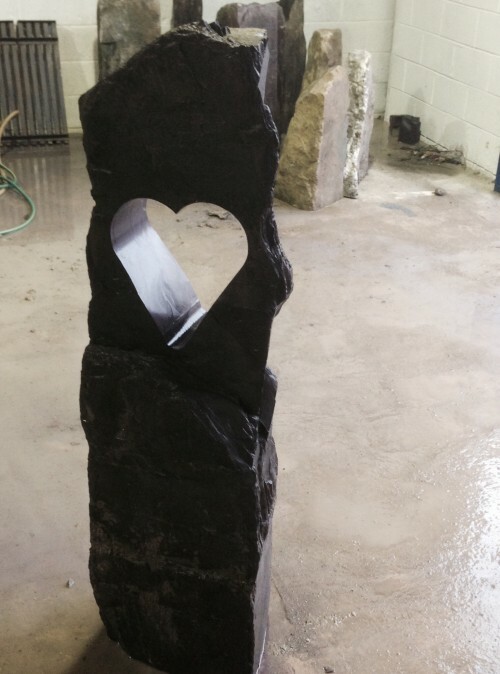 The Water feature versions have a hole drilled from the base of the monolith right up to the center of the heart, creating a beautiful bubble of water in the center of the heart. The lead time on the stones are usually 7-10 working days and extras can be added at request such as custom stone engraving inside the heart.